We are one of India's leading travel service providers of Kerala Backwater Tour, specialized in providing customized travel services to tourists visiting the Indian Sub-Continent. When life gets hectic think of Kerala and in Kerala nature will heal you. 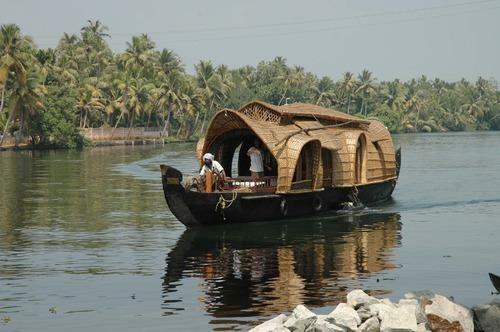 Experience and enjoy the journey on the land of rivers and backwaters with excellent packages! Kerala located at the southernmost tip is a 560 km long, narrow stretch of land is the India's only tropical paradise and the most advanced society. Coconut happens to be an integral part of the cuisine of the people of Kerala. Chilies, curry leaves, mustard seeds, tamarind and a asafetida happen to be other vital ingredients in the hot and spicy dishes from Kerala. At the same time fish and rice seem to be the food for the daily meals. The backwaters are an attractive and economically valuable feature of Kerala. These include lakes and ocean in lets which stretch irregularly along the lengthy coastline of Kerala. We offer variety of tour packages including kerala backwater tour, kerala ayurveda tour, kerala ayurveda tour packages, book kerala backwater tour, kerala backwater vacation tour, kerala backwater tour packages, kerala backwater honeymoon packages, tours to kerala backwater etc. Arrive Trivandrum and transfer to Kovalam. Rest of the day free to relax on the beach. Full day sightseeing tour of Trivandrum covering Sree Padmanabha temple, Veli tourist village, Sree Chitra Art Gallery and the Zoological park. Overnight Beach Resort in Kovalam. AM: Drive to Paravoor. Upon arrival check into hotel. After early breakfast drive to Alleppey and check into house boat. Rest of the day keep cruising in the backwaters and visit the villages dotting the backwaters. Overnight aboard the Houseboat. After breakfast at the houseboat, disembark at Kumarakom Jetty and drive to Cochin to check into hotel. Rest of day free to explore the city on your own or get into your shopping. Overnight hotel in Cochin. Full day Sightseeing tour of Cochin, covering Jewish Synagogue, Dutch Palace, St Francis Church and Chinese fishing nets. Later in the evening, witness Kathakali dance. Overnight hotel in Kochi. 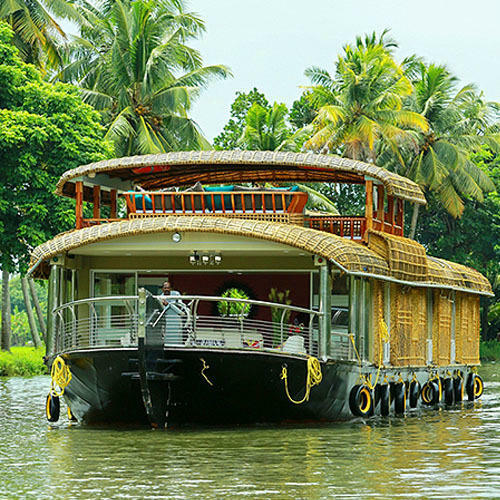 The Houseboats of Kerala are a new addition to the travel and tourism of the state's backwaters. These crafts, measuring up to 120 feet in length, retrieved from the age old cargo vessels of the State. Once they ruled the backwaters, poled along by one or two men, heavily loaded with rice, coconut and other commodities. But in the recent times, these big vessels have been replaced by more and modern modes of transport, relegating them to neglect and decay. But like the phoenix it again raises to the attention of the modern world, with a difference – this time the cargo is comfort and rippling relaxation. Looking for “Kerala Backwater Tour”?